1) Click the "Start" -> "Control Panel" -> "Network and Internet" -> "Network and Sharing Center" ->"Local Area Connection". 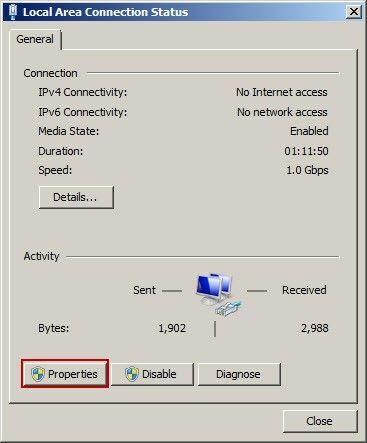 2) In the pop-up "Local Area Connection Status" dialogue box, click the "Properties" button (Figure 1‑1). 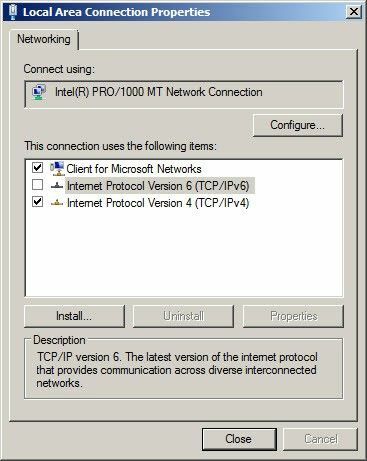 3) In the pop-up "Local Area Connection Properties" dialogue box, only retain the "Client for Microsoft Networks" and "Internet Protocol Version 4(TCP/IPv4)", and uninstall other services and protocols (Figure 1‑2). 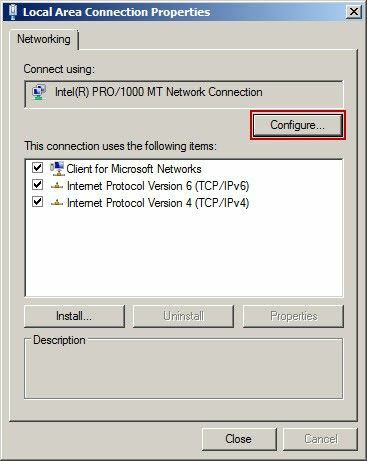 4) In the "Local Area Connection Properties" dialogue box, click the "Configure" button (Figure 1‑3). 5) In the pop-up dialogue box, select the "Advanced" tab, close the function of EEE, WOL, Green Ethernet, Jumbo frame, Offloadlargesend, Flow Control, OffloadChksum, automatically shut down the PCIe, and automatically shut down the PHY (Figure 1‑4). 6) Choose "connection speed and duplex mode" to "automatic inspection". Please refer to the following form for detailed settings. We have created a video - "NIC Optimization" (start from about 05:44). Note:Its enough to just disable flow control in NIC properties. But depending on requirement you can disable other options as mentioned above. Note: Most of the modifications of network card properties are under the circumstance of diskless. If you can't modify the information in diskless situation, please try to modify with disks being attached. Besides, if you failed to disable flow control on the client side even with Super Client on Device Manager, we recommend modifying before uploading image. If you have multiple specs, you need to modify every network adapter before uploading image. 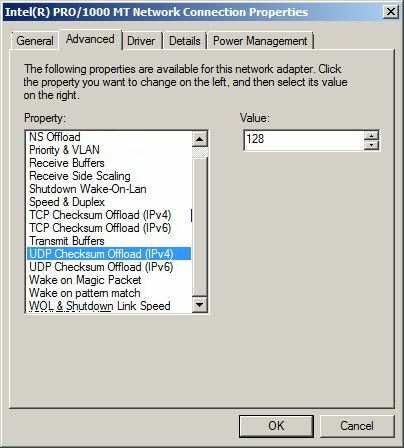 If the network adapter type is the same, just need to disable the flow control once.